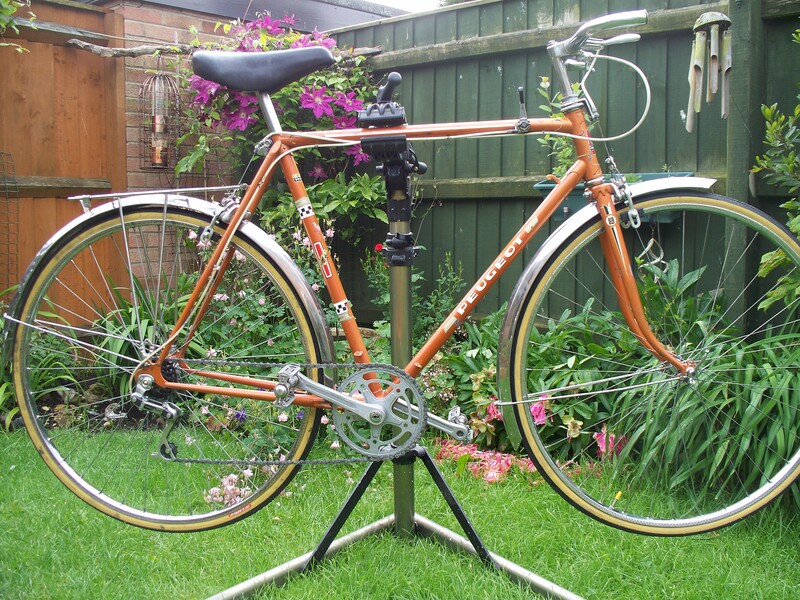 During the last couple of months i have had some great feedback from customers who have purchased complete bikes or just frames from me . 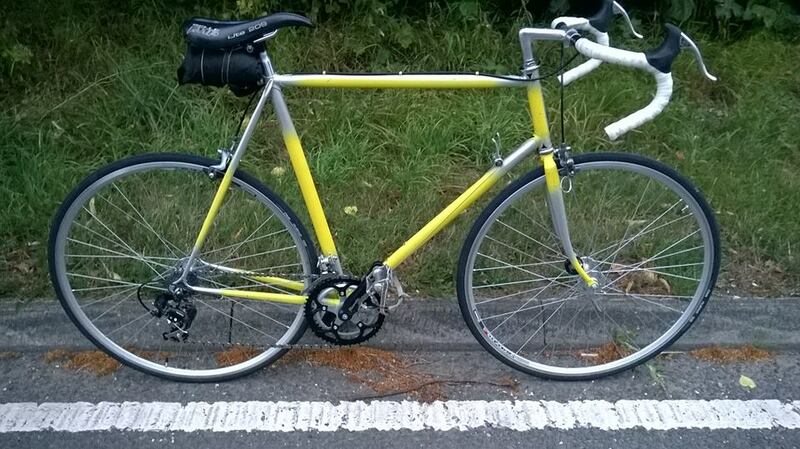 ” Thanks for the bike biggs682. Couldn’t resist and took her for a spin for 15 miles when we got home. Ride is like a dream and would agree that the intermittent “knock” is probably the BB. Was more pronounced on the hills. 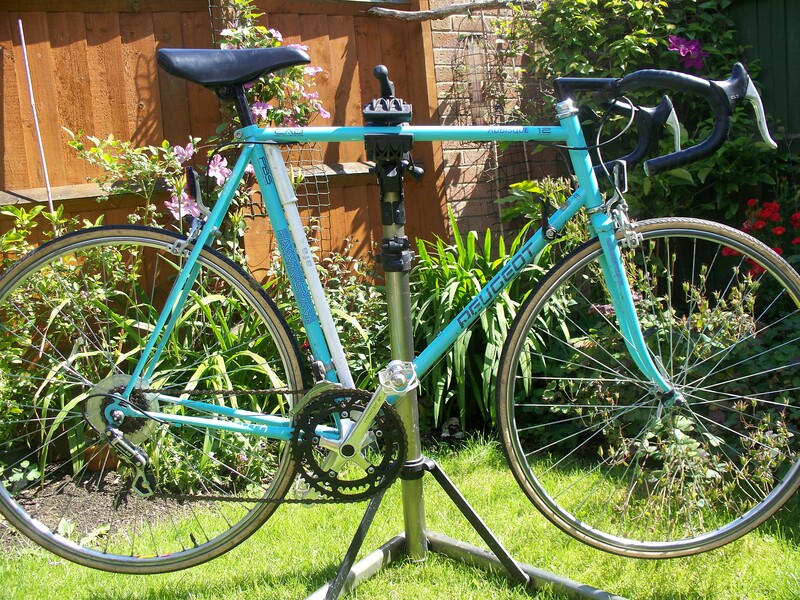 Will be fitting the 7 speed cassette I have, to give me a bit more gearing because it was a tad to high for me. 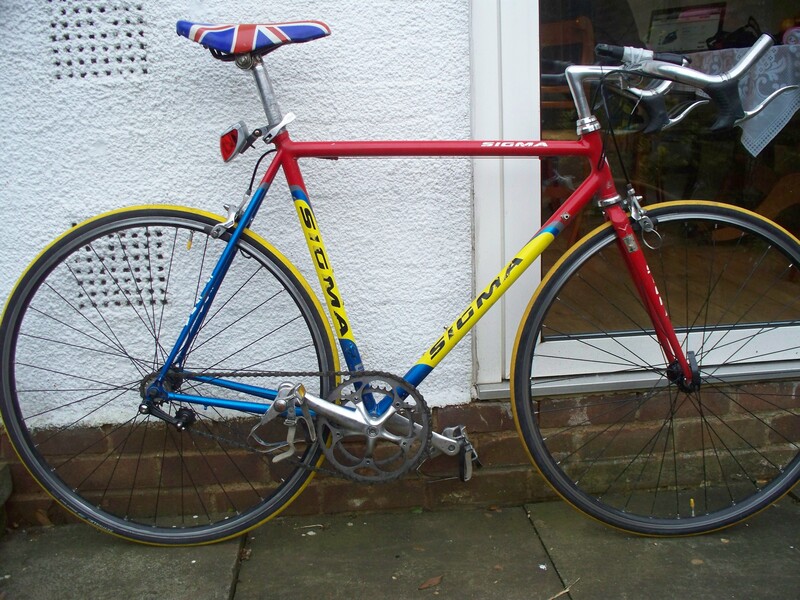 Off to the LBS tomorrow to get the BB, new saddle and some new peddles so I can clip in. Our local Phone mast has had an issue since Christmas eve , which has meant that at least my partner and myself and I am guessing quite a few other people who are on Virgin or EE and live in the same local area as we do have not had full service since then . I contacted Virgin by e mail over the Christmas holiday period by e mail twice and have yet to have a reply . On my return to work on the 29th I contacted them again this time by phone and after speaking to 4 or 5 people I ended up with technical support who confirmed that the providers (ee) mast has a power supply fault and is more than likely causing the issue . When asked re fixture date I was told by end of the week ie 2nd January and that a credit would be available for lost services for the whole period affected and to give them a ring once back to normal service . This morning 31/12 I thought I would ring them again to get an update and have been told it will be at least the 5th of January before any repairs can be done as they are having issues accessing the mast ??? If the mast is functional again on the 5th then it would have been 13 days without full service , ok Its not a matter of life and death and other people are a lot worse off , but I do think in this day and age its not good customer service . 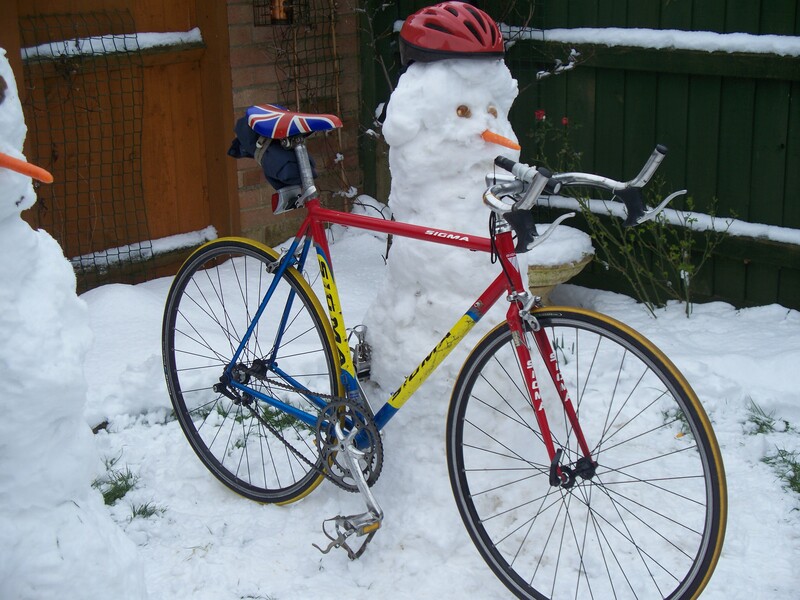 I had high hopes of getting quite a few miles in over the Christmas period seeing as of work Christmas Day,Boxing day and then the weekend so 4 early rides would have given me 60 – 80 miles which would have been good . But the reality is a grand total of 1 ride and 13 miles !!! Whats has everbody else managed ?? 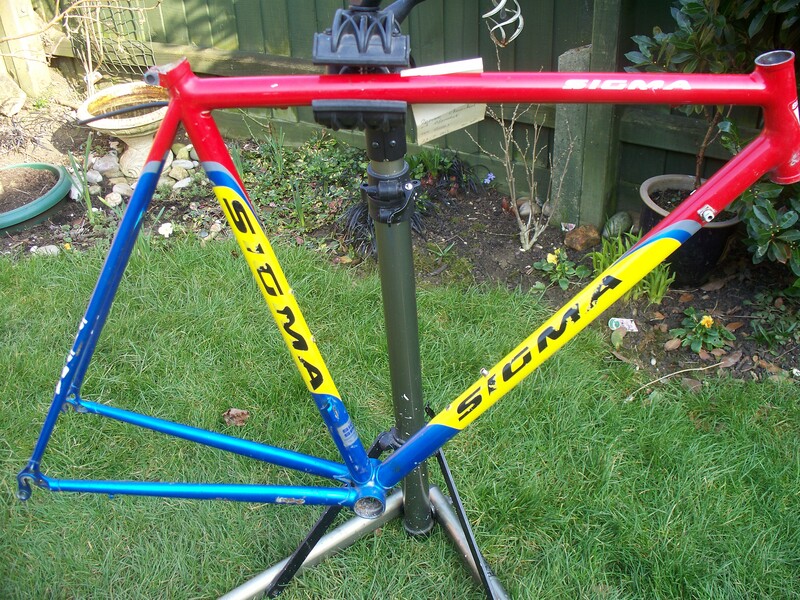 The subject of today’s waffling was this rather nice Sigma badged bike I owned for a while and it was my main commuting bike for most of its time with me , it arrived via a local seller on e bay who had it rather poorly listed so a really cheeky low bid secured the frameset . 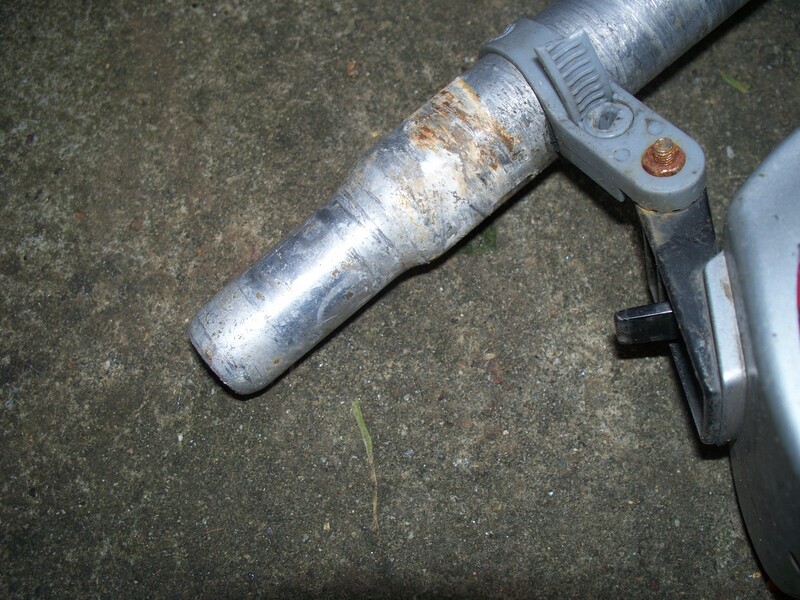 Upon inspection it was duly noticed that the seat post was either seized or as the seller described it “ as a bonded in affair” either way soon as I touched the what looked like an alloy post it just disentergrated , but the really strange thing was that it was an alloy of some description that’s for sure , I took the decision to try and remove what was left of the post out of the frame but I could not tell how much was inserted in the frame . Normally I try and slice the stem and then peal out the long strips as I go around but for some strange reason this would only allow me to cut about 1 inch down the length of the tube ! So I took the rash decision of trying to drill as much of the stuck post as I could out of the frame , so purchased an as near as poss sized drill bit to do the job . Once again it came to a halt with just about an inch and half removed . So I took the decision to try and see what and if I could secure a post of some description in the frame . 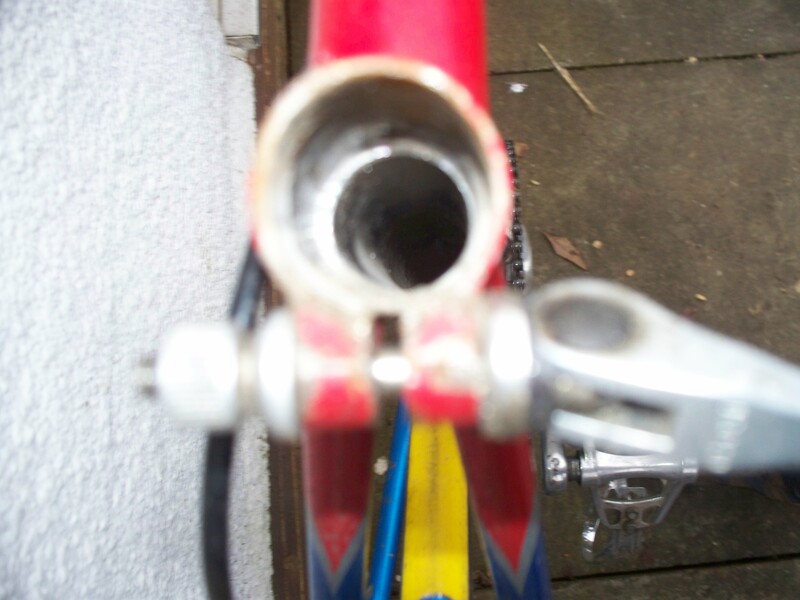 I had managed to remove enough of the old post to be clear of the seat tube slot and clamp area and was amazed to find that an older style non micro adjust seatpost would fit inside what was remaining of the post deep in the frame if I turned it upside down ! I then chopped this post down so as it gave me the right saddle to floor measurement I like and inserted a quill stem converter inside and clamped it up and then secured an old fashion seat clamp on to it complete with saddle . 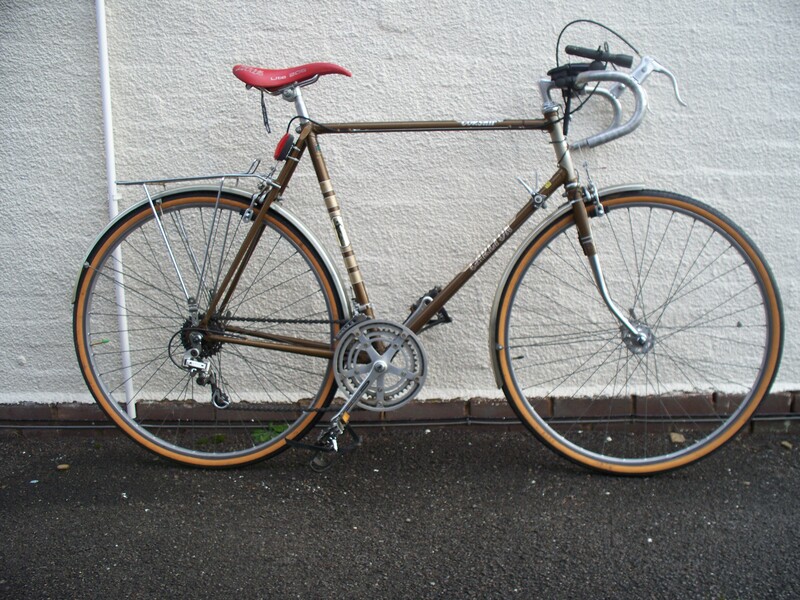 Once this had been done it was time to decide what spec to build bike in to , and for whatever reason decided on a singlespeed as most of my miles were done on a fairly flat commuting route , once built it stayed in that format for all its time with me and many a happy mile was covered . 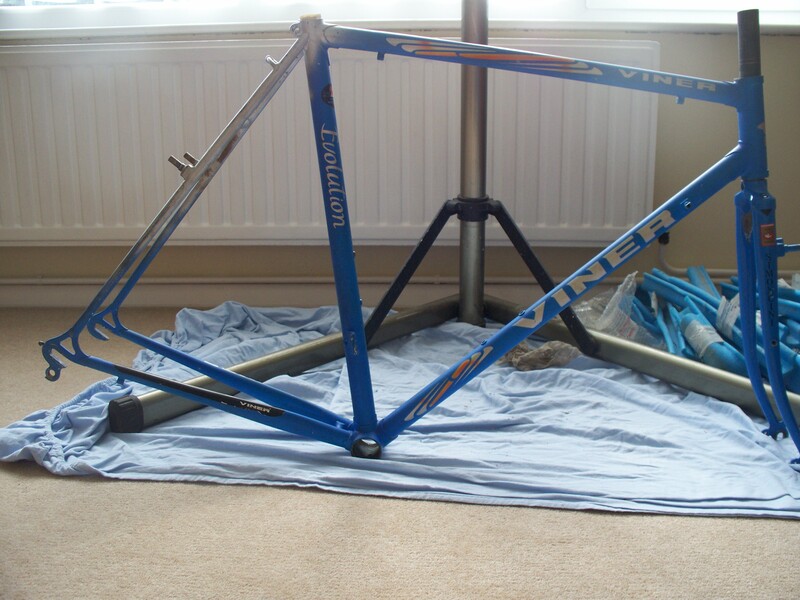 I never did find out what material the frame was made from , the fork carried a Columbus sticker that’s for sure . 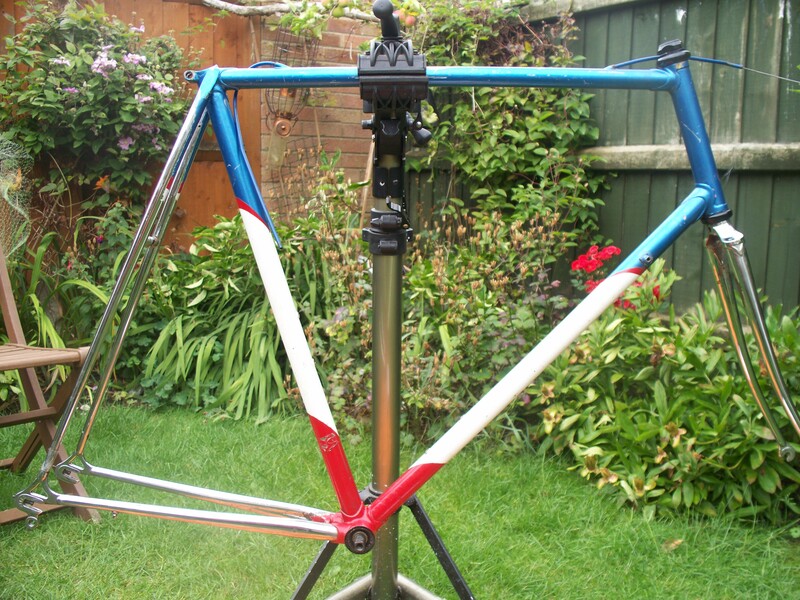 I cant remember what finally made me decide to sell this frame but it was sold off to a n other gent who informed me with in a few weeks of owning the frame he had managed to remove all of the seat post and had rebuilt the bike to use as his everyday bike . 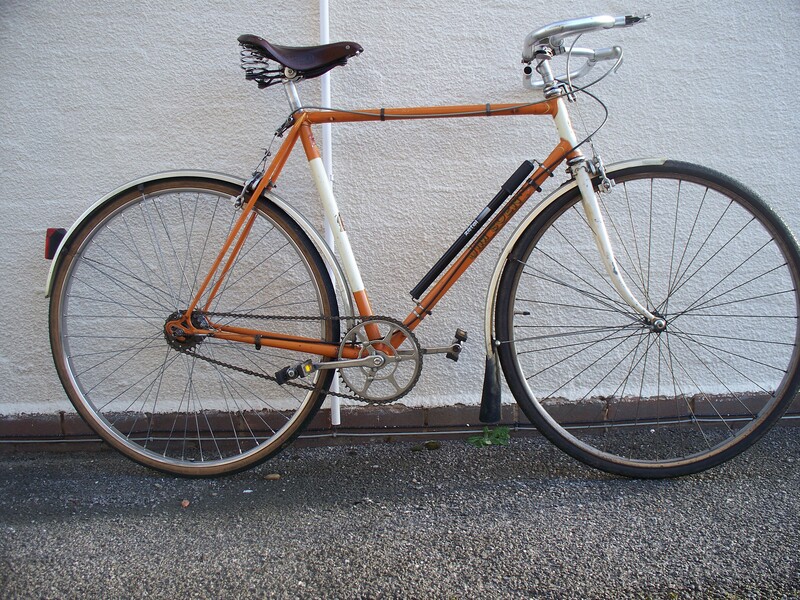 over the years i have owned a number of these underated french machines , and they make great every day commuting machines amongst many other uses people put them to. 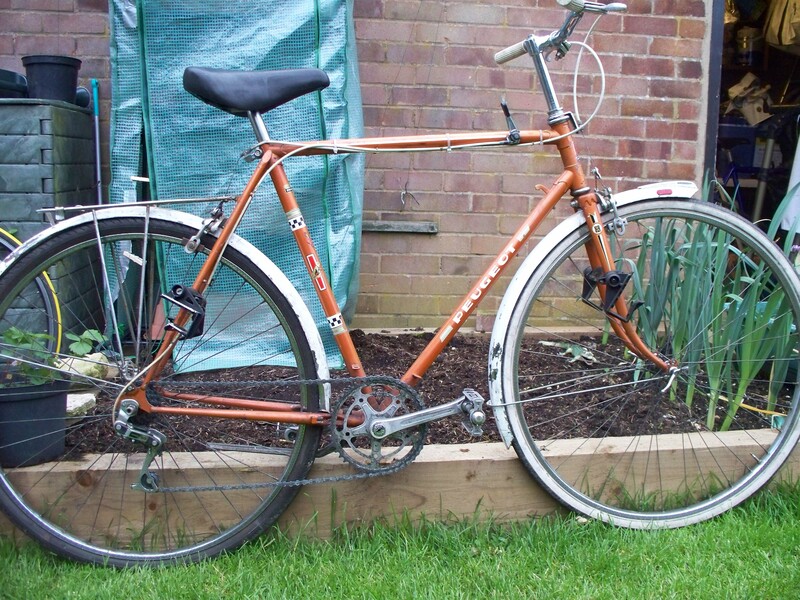 The one above had been used for delivering take away food in a small town just outside Cambridge and even came with a wooden box built on to the rear rack !! 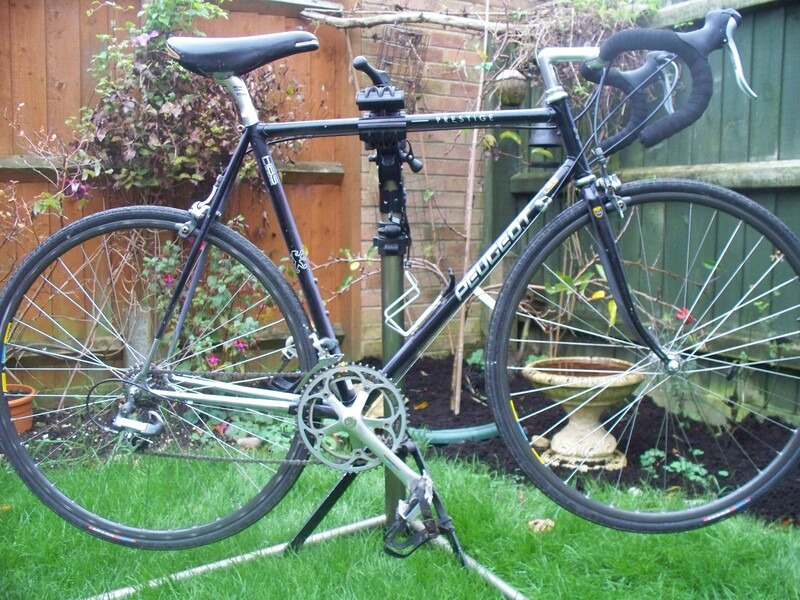 The above pic is the same bike a bit of tlc . 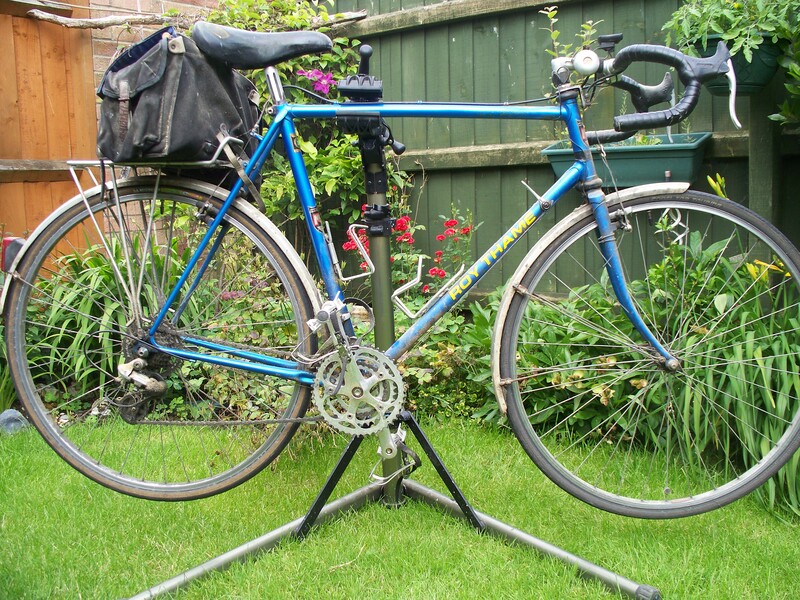 The one pictured above was put in the sellers shed when his teenage son passed his driving test and then sat unused for a few years .Some fresh grease and cables and away it went as good as new . 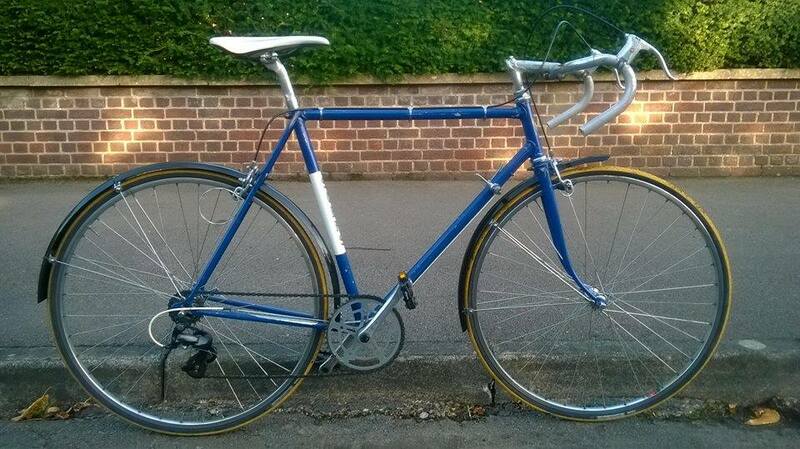 Above is a 90’s Peugeot 500 Competition made using Columbus tubing , another nice example of a great bike . 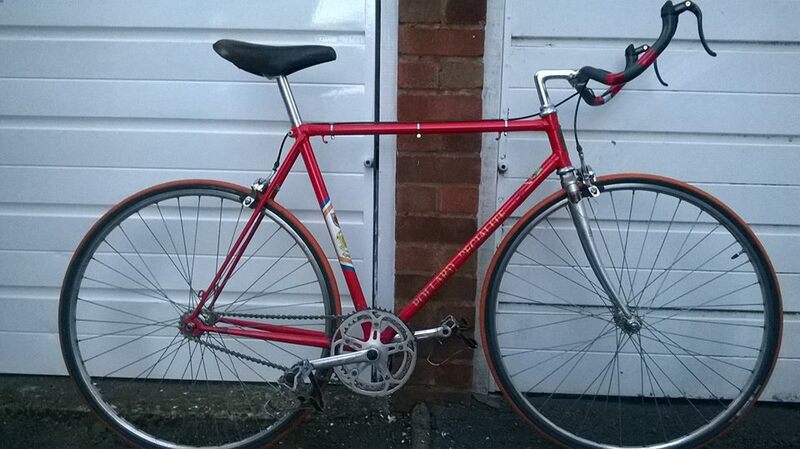 And finally a very recent in and out Peugeot Prestige Reynolds 708 road bike . 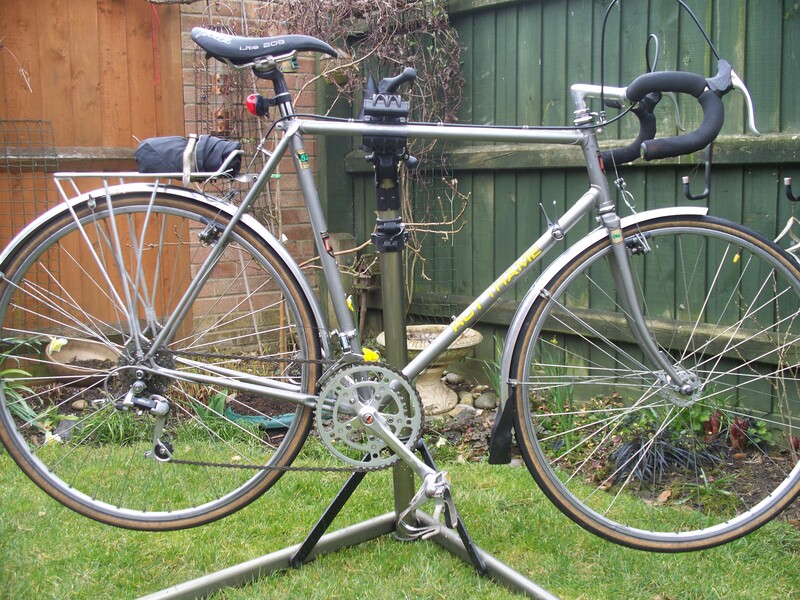 Both were made with Reynolds 531st tubing and were equipped with enough brazed on fixtures for all kind of racks front and rear never mind mudguard fixings . 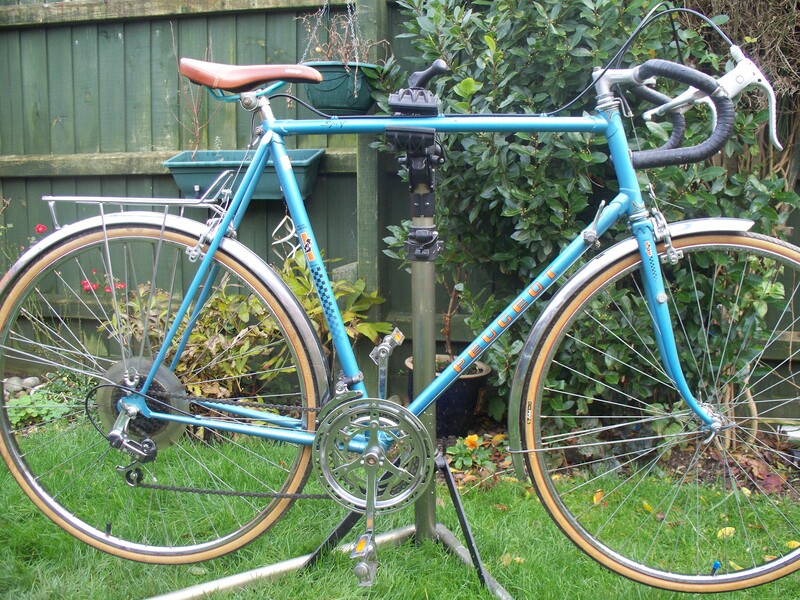 Other machines I have owned that were built for touring purposes have included a couple of the iconic Dawes Galaxy’s which really have earned the reputation of being great touring machines . These always fetch good money no matter what condition they are in . 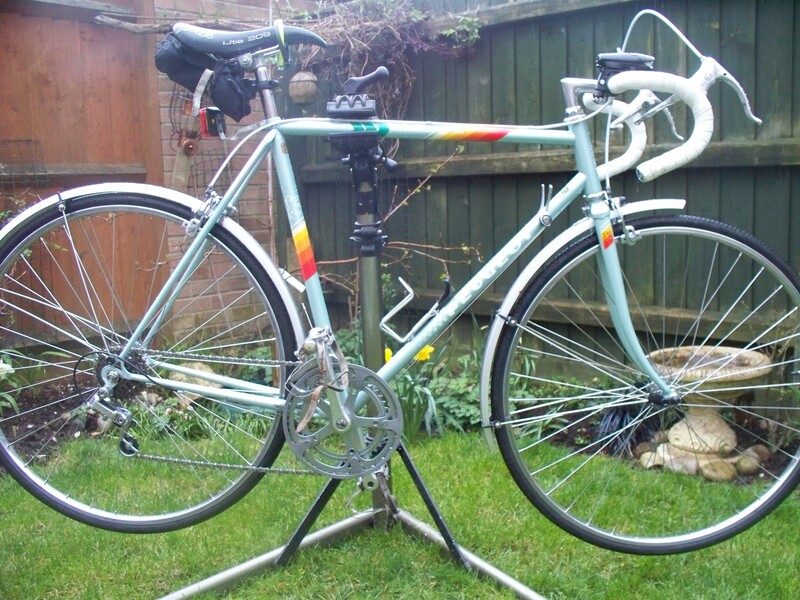 I can remember looking at new Dawes Galaxy’s when I was in my early teens and this make and model are still going strong today although there have been a few changes along the way and I am sure most owners will have their own favorite version . 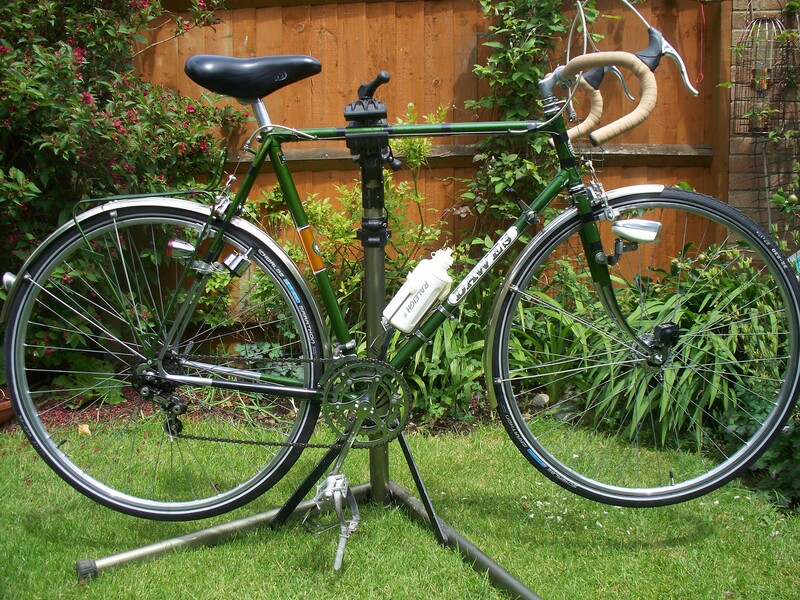 Galaxy’s have been available with down tube shifters , bar end shifters and sti’s and a few have been converted to thumb operated levers for use with flat bars . 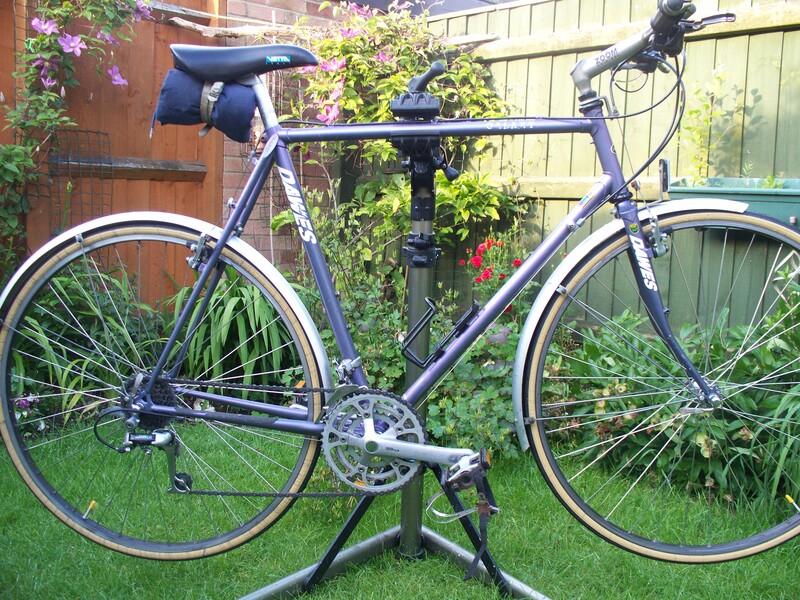 They have also been produced with both 27” and 700c wheels . 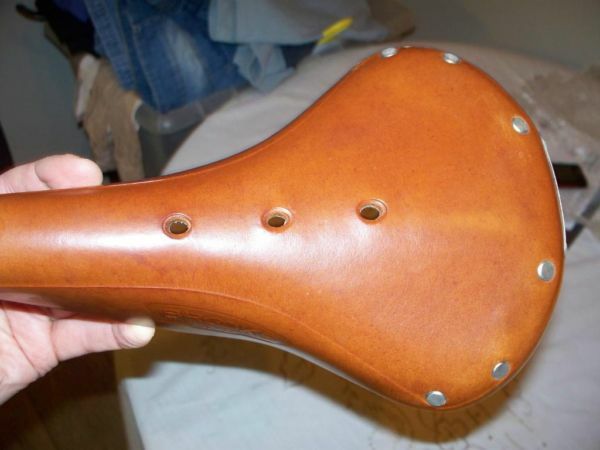 But I bet most of them have at one point or another been fitted with a Brooks saddle of one kind or another . 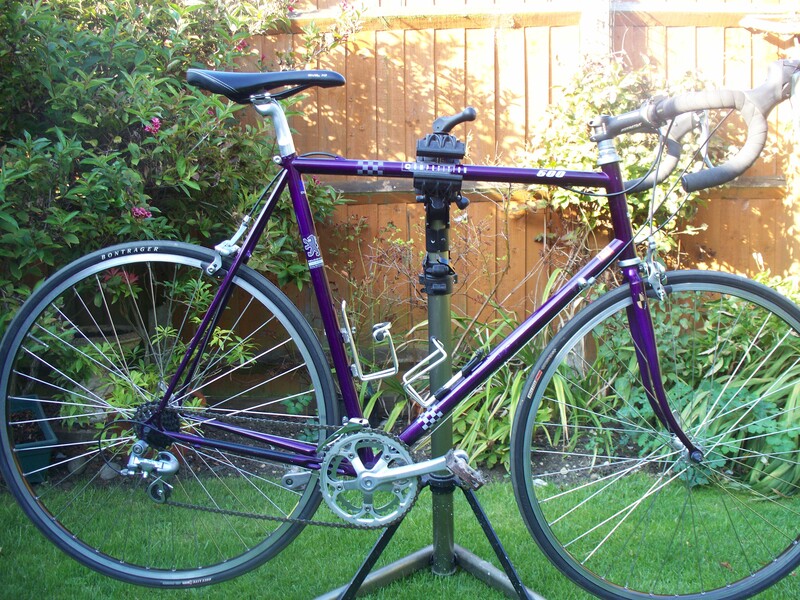 They have also been produced in Reynolds 531 ,631 and alloy tubing to say the least and I am sure many an owner would say one is better than the other , having only ridden 531 tubed ones I can t comment . 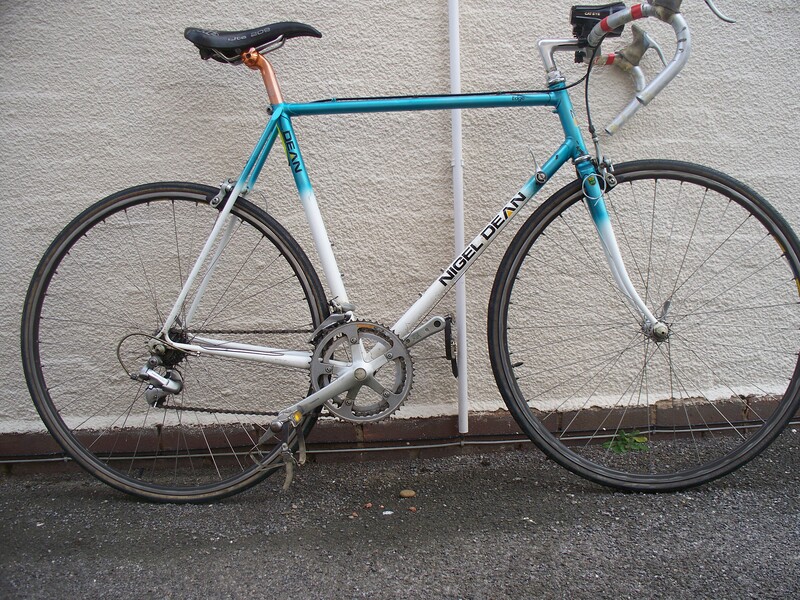 Original ones came with good old fashioned center pull brakes others came with canti style bikes and I am sure I have seen disc equipped ones as well . What will be your 2015 New Year Resolution? How many people bother with resolutions ? Should we bother with resolutions ? I don’t normally bother with resolutions , so will I bother this year ? 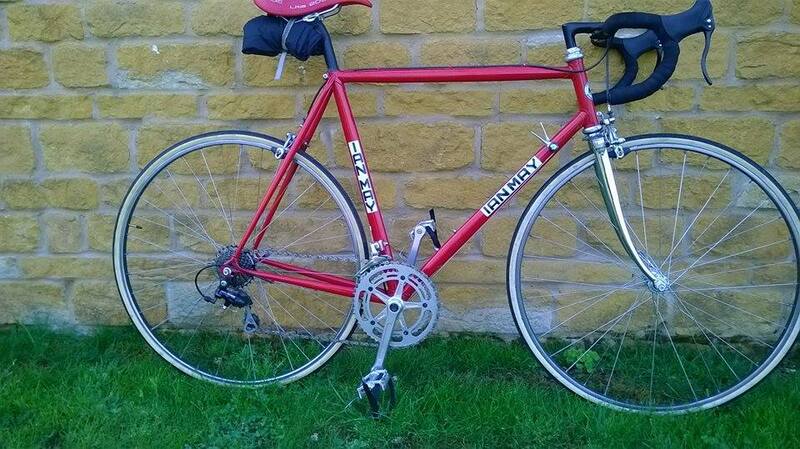 Another question could be will I bother to carry on buying & selling bikes in 2015 ? 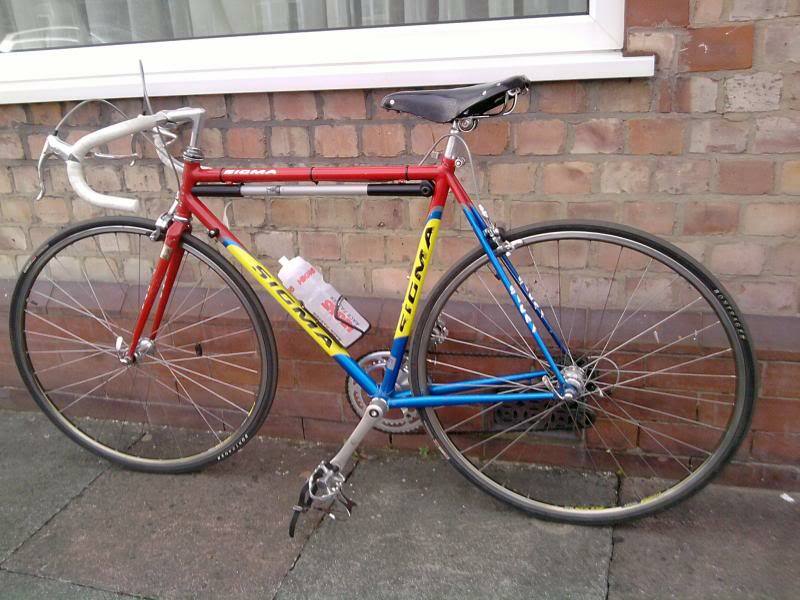 Then should I sell any of the bikes pictured below in 2015 ?